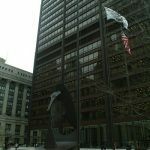 Throughout the thirty floors and 120 court and hearing rooms of the Richard J. Daley Center, you can frequently hear court patrons asking the same question over and over again, Where do I go? The building is big, the largest courthouse in the state, and it can seem overwhelming with its multiple elevator banks and unclear signage. 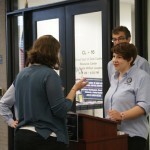 While many helpful resources are located in the building, its sheer size and scale can make it challenging to keep track of who they are and what they do. 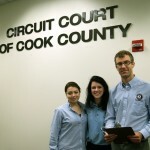 Court patrons in a need of a specific service may not be able to find it easily, and Illinois JusticeCorps volunteers can’t cover the entire building. 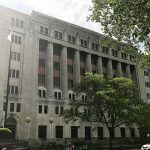 The CBF saw an opportunity to improve the navigation process within the building by working with the Circuit Court of Cook County Pro Se Advisory Committee to develop a referral sheet for people without lawyers. A little legal help can go a long way. 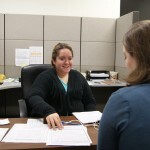 That’s the idea behind the network of court-based help desks located throughout Chicago and Cook County that serve tens of thousands of people every year. 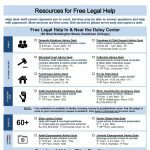 Lawyers and other legal professionals can quickly triage a court patron’s situation and determine what level of help he or she might need. Depending on the desk and the situation, that help can range from brief advice to forms preparation to a referral for full pro bono representation. 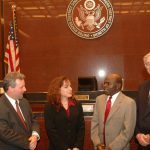 In the spring of 2014, the CBF, in collaboration with the Circuit Court and several pro bono and legal aid organizations, reached a milestone in its long-term efforts to make the court system more user-friendly and accessible by opening the Resource Center for People without Lawyers.